One thing Hamilton did very well in the 1950's and 60's is create unique and futuristic designs. Perhaps inspired by the space program or sci-fi movies, these innovative watches were often in the family of "asymmetrics". Asymmetric watches are not a uniform shape or might have different lug designs on top and bottom, etc. Many of the coolest asymmetric designs are electric watches but there are quite a few mechanical and automatic models as well. 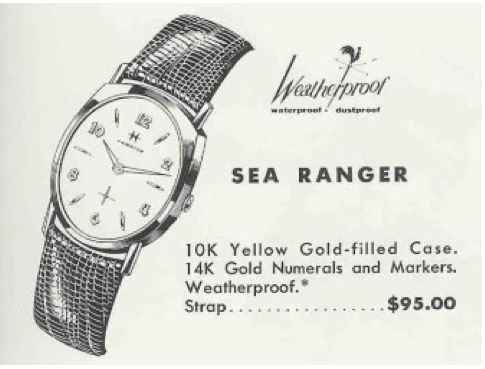 One example of a mechanical asymmetric is the 1960 Sea Ranger. Although the crystal and dial is oval shaped, the top of the watch is a differently shaped than the bottom of the watch. 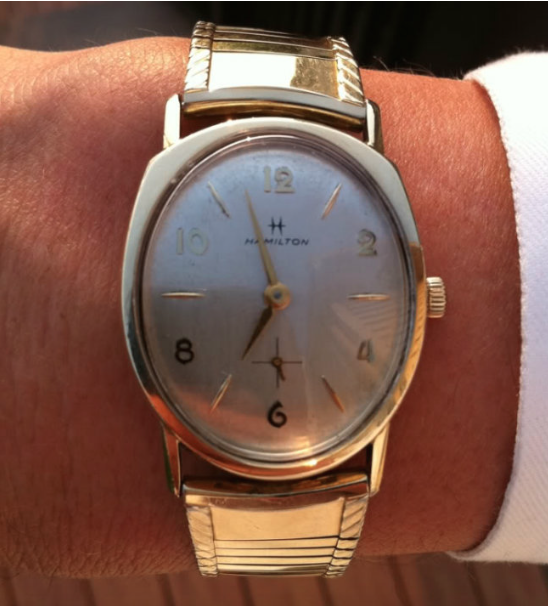 Produced from 1960 through 1962, the Sea Ranger came with Hamilton's 12/0 sized, 22 jewel 770 movement under the hood. It's actually a fairly large watch. The "weather proof" aspects of the watch come from the case design and gasketed crown. The two piece case opens from the front and the stem is a two-piece design. I've only had one example and I tried to change the crystal in it three times. The crystal appears to be press fit into the bezel and after cracking three crystals I finally gave up and put the old one back in. It's a sharp looking watch and collecting all of the mechanical asymmetric models would be a fun but expensive challenge. 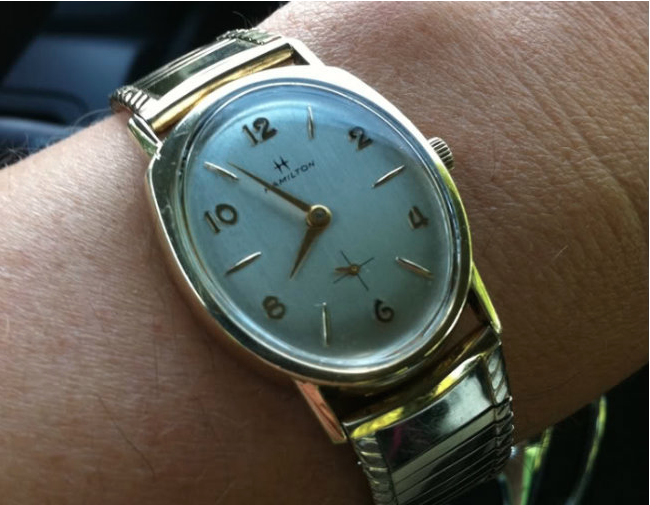 Were you trying to insert a new standard oval crystal or one made by Hamilton? Any ideas why all 3 of your crystals cracked? I was trying to install the GS crystal that was made for the Sea Ranger. It's a compression fit but the crystal isn't round - so my standard "claw" crystal lifter tool wouldn't work. There's a similar crystal lifter that accommodates non-round tools but I don't have it. I suspect that would have enabled me to install the crystals without cracking them.